This new program replaces the existing recruitment system, offering a whole host of new rewards and incentives including Triglavian Apparel and SKINs for the Pacifier, Enforcer and Marshal exclusive to the recruitment program. In addition to these rewards there are training accelerators, PLEX and Omega Time all up for grabs in the new system. New accounts registered through the new recruitment program will also receive 250,000 skillpoints in the same manner as the current recruitment program. Rewards will be issued via the new recruitment program within 24 hours of a pilot becoming eligible for them, and there will be further information on the program available via Customer Support Help Center Articles very soon. For now, CCP will have rewards for the recruitment of up to 40 new pilots, and depending on how successful the most prolific recruiters are in the coming months, CCP may look to add additional tiers of rewards going forward. In order to deploy the new program, the current program will be taken offline on July 9th, and the system will be unavailable for around 48 hours while the infrastructure is set up for the new one. On Wednesday, July 11th, the new program will begin, offering new rewards and new goals. Please be aware that given the new reward structure, the counters and numbers for “finished” recruits will not be migrated to the new system, and all statistics will be reset to zero in order for the new rewards to be counted correctly going forward. Given the large number of recruitment awards that have still not been claimed from the old system, there will be a delay in these being delivered. 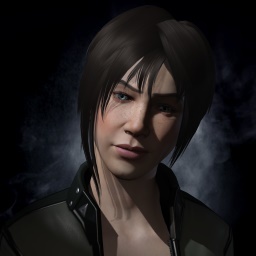 There a substantial number of inactive pilots that have not claimed rewards from the old system – CCP intends to deliver these rewards over the course of the next three months, as they cannot be migrated over into the new system from day one. Due to the differences between the new and old recruitment programs, along with the need to comply with new General Data Protection Regulation (GDPR) in the European Union, email referral links will not be available in the new system, only custom links. Old custom links will be migrated across to the new system, and should work fine, however it must be stressed that new recruits MUST join via a recruitment link in order for their recruiter to be eligible for the rewards from the new recruitment program. In addition to this, current open connections (i.e. new pilots who have joined EVE but have not yet upgraded to omega) will be migrated over to the new system and will be a part of the new rewards structure should they choose to finish their recruitment with their recruiter.